the year before a child starts kindergarten is vital to their development. The beginning of the day will become a familiar routine for your pre-K students. There are a number of ways you can begin the day, including but not limited to a circle time activity, a free choice activity, or a sign-in activity. Beginning the day in the same way each day will give the children a sense of stability and they will learn to anticipate transition times. Before long, the children can tell you what activities will come next as well as be able to explain the routine to visitors and new classmates. Art and sensory activities usually take up a good portion of the day. Through art, children are able to express themselves creatively, experiment with color and shape, work cooperatively on group projects, and feel a sense of accomplishment when they complete a craft or art piece. Teacher directed art projects are also a good exercise for pre-K students to practice listening and following directions. Child centered art and craft activities give children a chance to experiment with a number of different materials and create in their own way. 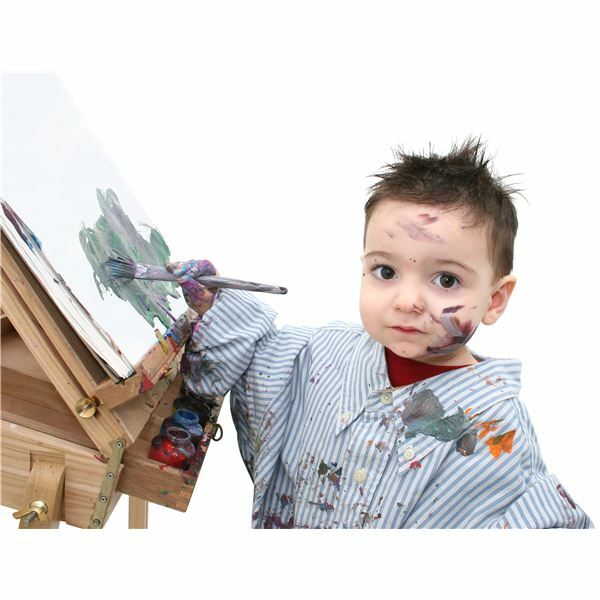 Check out some of these ideas for pre-K art, sensory and craft lessons. Prekindergarten science is all about discovering the world around you. Studying items with magnifying lenses, taking nature walks, and discussing mammals, birds and reptiles can all be a part of a pre-K science curriculum. Set up a science discovery center in your classroom with lots of books with photographs of animals in their native environments, magnifying lenses, magnets and other appropriate science materials. Allow children to explore these materials on their own, but provide a few guided activities for the class, too. Check out some of these stellar ideas for including science in your pre-K curriculum. Prekindergarten students can be categorized as emergent readers. By this age, many pre-K children can recognize their own names in print and may even be able to write a few alphabet letters. Create a print-rich environment in your pre-K classroom by including books and signs in every center, and finding opportunities for including environmental print throughout the room. In addition to these simple classroom fixes, be sure to include several opportunities throughout the day for early literacy activities. Never underestimate the power of fun! Children learn best when the material presented to them is relevant to their lives and interests, and also when they are actively engaged. One of the perks of being a pre-k teacher is that you get to plan lots of fun activities and lessons that will keep children engaged and having fun while they are learning important skills. Try a few of these activities in your classroom and add a dash of fun to your day. When planning a curriculum, keep in mind that pre-K lesson plans and activities should, first and foremost, be fun and engaging. Pre-kindergarten is a child's first formal introduction into a school environment. Make their foundation a positive one by providing appropriate, engaging and challenging lesson plans and activities throughout the year.